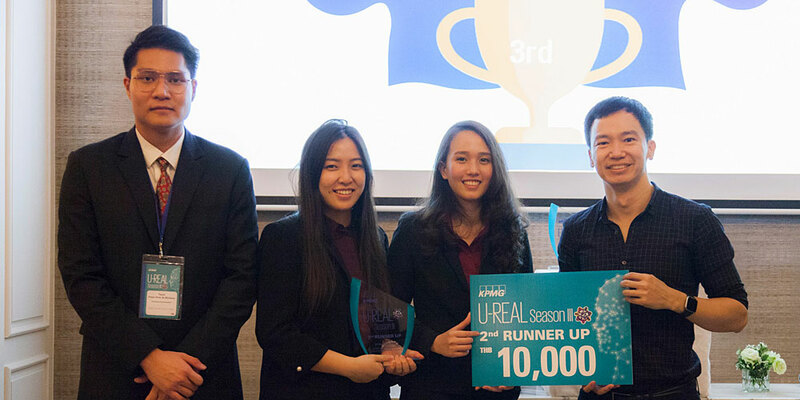 Four Business Administration students were adjudged 2nd Runner-up at KPMG U-REAL Season 3 held at the KPMG Thailand office on December 23, 2018. They received a THB 10,000 cash prize. The students, whose team was called “Polar Prim & Winions,” were Ms. Potchara Kunanusorn and Ms. Arthitaya Rusmintratip, both from the Finance major; Mr. John Vince Millan from the Business Economics major, and Ms. Pasika Panaputtikul from the Marketing major. 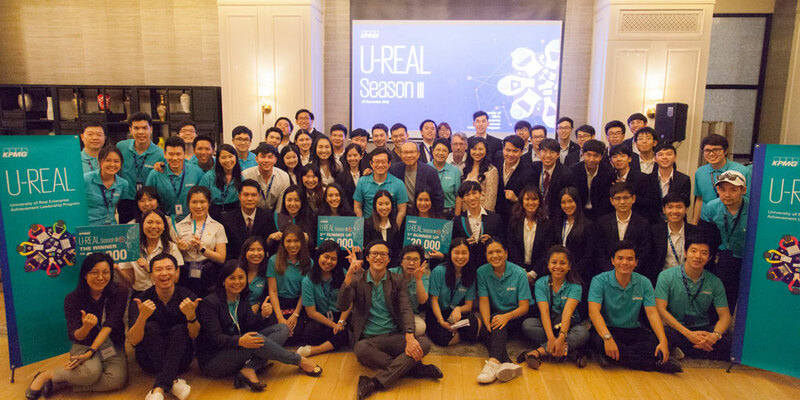 From November to December 2018, KPMG Thailand—one of Thailand’s Big Four auditing firms that offers professional services including audit, legal & tax, and advisory services—hosted the U-REAL Season III for university students. Being part of this case competition allowed BBA students to challenge themselves, learn new things, and develop new skills. They also had the opportunity to get the most hands-on, realistic experience which could help shape their future. 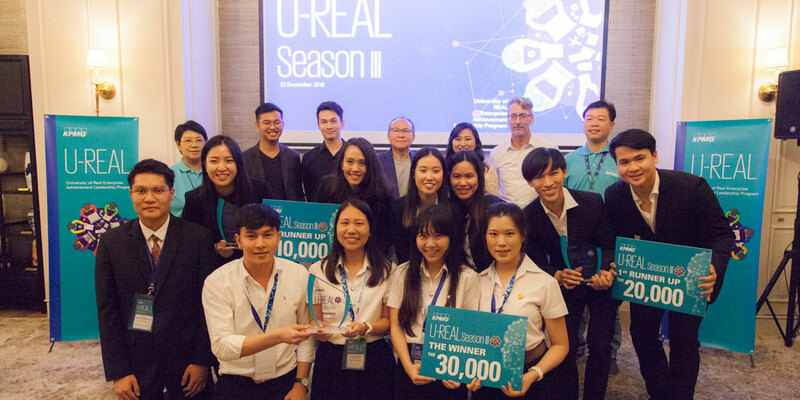 The Business Administration Division thanked KPMG Thailand for hosting this competition and providing a rare opportunity to its students to participate.